In heraldry, an escutcheon ( /ɪˈskʌtʃən/ ) is a shield that forms the main or focal element in an achievement of arms. The word is used in two related senses. The lozenge in heraldry is a diamond-shaped charge, usually somewhat narrower than it is tall. It is to be distinguished in modern heraldry from the fusil, which is like the lozenge but narrower, though the distinction has not always been as fine and is not always observed even today. A mascle is a voided lozenge—that is, a lozenge with a lozenge-shaped hole in the middle—and the rarer rustre is a lozenge containing a circular hole in the centre. A field covered in a pattern of lozenges is described as lozengy; similar fields of mascles are masculy, and fusils, fusily. In civic heraldry, a lozenge sable is often used in coal-mining communities to represent a lump of coal. Wikimedia Commons has media related to Heraldic shields by shape . A kite shield is a large, almond-shaped shield rounded at the top and curving down to a point or rounded point at the bottom. The term "kite shield" is a reference to the shield's unique shape, and is derived from its supposed similarity to a flying kite, although "leaf-shaped shield" and "almond shield" have also been used in recent literature. Since the most prominent examples of this shield have appeared on the Bayeux Tapestry, the kite shield has become closely associated with Norman warfare. Heavy cavalry is a class of cavalry whose primary role was to engage in direct combat with enemy forces, and are heavily armed and armoured compared to light cavalry. Although their equipment differed greatly depending on the region and historical period, they were generally mounted on large powerful horses, and were often equipped with some form of scale, plated, chainmail or lamellar armour as well as either swords, maces, lances, or battle axes. The heater shield or heater-shaped shield is a form of European medieval shield, developing from the early medieval kite shield in the late 12th century as depicted in the great seal of Richard I and John. The term is a neologism, created by Victorian antiquarians due to the shape's resemblance to a clothes iron. In English heraldry, the lozenge has for many centuries[ weasel words ] been particularly associated with certain females[ weasel words ] as a vehicle for the display of their coats of arms, instead of the escutcheon or shield, which is in its origin an object of manly warfare. In this case the lozenge is without crest or helm, again objects of manly warfare. However, for the practical purpose of categorisation the lozenge may be treated as a variety of heraldic escutcheon. Traditionally, very limited categories of females have been able to display their own arms, for example a female monarch (who uses an escutcheon not a lozenge, being unlike most armigerous females, a military commander) and suo jure peeresses, who may display their own arms alone on a lozenge even if married. [ citation needed ][ year needed ] In general a female was represented by her paternal arms impaled by the arms of her husband on an escutcheon. (See Marshalling (heraldry)). In modern Canadian heraldry, and certain other modern heraldic jurisdictions, women may be granted their own arms and display these on an escutcheon. [ citation needed ] Life peeresses in England display their arms on a lozenge. [ citation needed ][ year needed ] An oval or cartouche is occasionally also used instead of the lozenge for armigerous women. ↑ The origin of the inescutcheon of pretense lies in the armorial representation of territorial property. A man coming into lordship by right of his wife would naturally wish to bear the arms associated with that territory, and so would place them inescutcheon over his own; "and arms exclusively of a territorial character have certainly very frequently been placed 'in pretense'." Fox-Davies (1909), p. 539. It is also worth noting that the arms thus borne in pretense represent arms of assumption, while those on the larger shield represent arms of descent. ↑ Especially in continental Europe, sovereigns have long held the custom of bearing their hereditary arms in an inescutcheon en surtout over the territorial arms of their dominions. Fox-Davies (1909), p. 541. This custom, coupled with the frequency of European sovereigns ruling over several armigerous territories, may have given rise to the common European form of "quarterly with a heart". In heraldry, the field (background) of a shield can be divided into more than one area, or subdivision, of different tinctures, usually following the lines of one of the ordinaries and carrying its name. 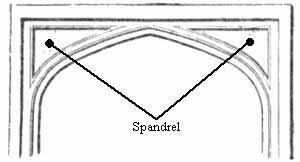 Shields may be divided this way for differencing or for purposes of marshalling, or simply for style. The lines that divide a shield may not always be straight, and there is a system of terminology for describing patterned lines, which is also shared with the heraldic ordinaries. French heraldry takes a different approach in many cases from the one described in this article. Due to the differing role of women in past society, special rules grew relating to the blazoning of arms for women. The rules for women and heraldry developed differently from place to place and there is no one single rule that applies everywhere. 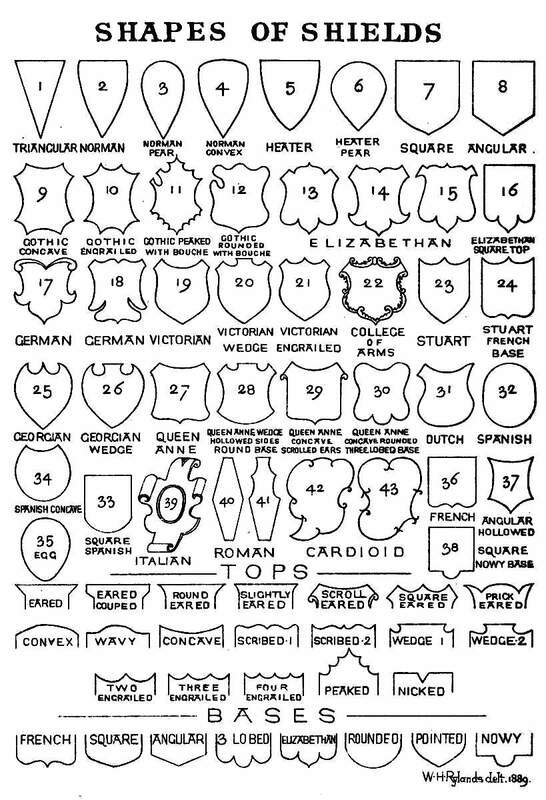 In general, arms of women were most likely depicted not on shields but on lozenges or ovals. Different rules exist that depend on the woman's marital status and a married woman would also often make use of her husband's arms in addition to those from her family. In both the English and the Scottish systems of heraldry these differences remain active. In English law, baron and feme is a phrase used for husband and wife, in relation to each other, who were accounted as one person by coverture. Hence, by the old law of evidence, the one party was excluded from giving evidence for or against the other in civil questions, and a relic of this is still preserved in criminal law. ↑ Boutell, Charles (1914). Fox-Davies, A.C., ed. Handbook to English Heraldry, The (11th ed.). London: Reeves & Turner. p. 33. ↑ Codex Figdor, Tiroler Landesarchiv, Innsbruck (c. 1400). ↑ The gap or bouche represents the opening for the lance in specialised jousting shields, attested (in depictions of actual shields) from the mid 14th century, occasional use as a shape of heraldic escutcheons from the mid-15th century (Grazebrook 1890, 31–35). 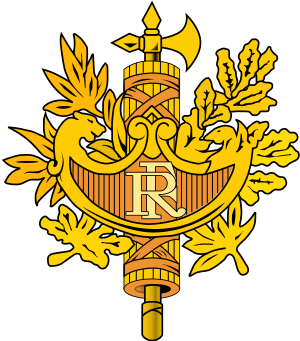 ↑ used in the Armorial général de France (1696). The "French" shape of the base is found earlier, in French and English heraldry, from c. 1600 ("Stuart" type). ↑ called ecu suisse in some French sources of the 19th century,[ citation needed ] as this shape was used in coats of arms on some coins of the Swiss mediation period (1803–1815). ↑ "Royal wedding: Kate Middleton coat of arms unveiled". BBC News. 19 April 2011. Retrieved 19 April 2011. ↑ Bates, Stephen (19 April 2011). "Kate Middleton family gets coat of arms". The Guardian. UK. Retrieved 19 April 2011. ↑ Fearn, Jacqueline (1980). Discovering Heraldry. Shire. p. 61.